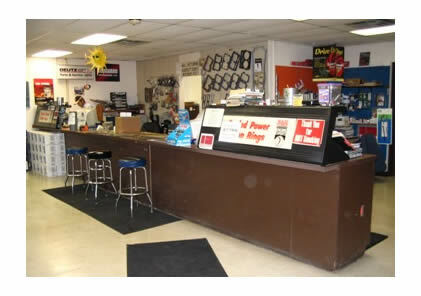 The Parts Department has a staff of four associates. Two people attend the front counter to handle walk-in customers and two people are dedicated to fulfilling parts requisitions for the other departments. The Parts Department stores all information and inventory on our complete line of engine parts for Automotive, Agricultural, Diesel and Industrial engines.